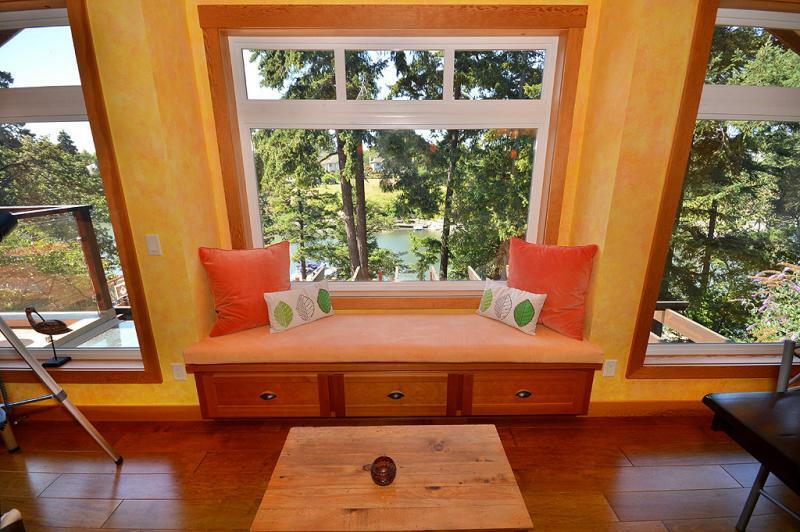 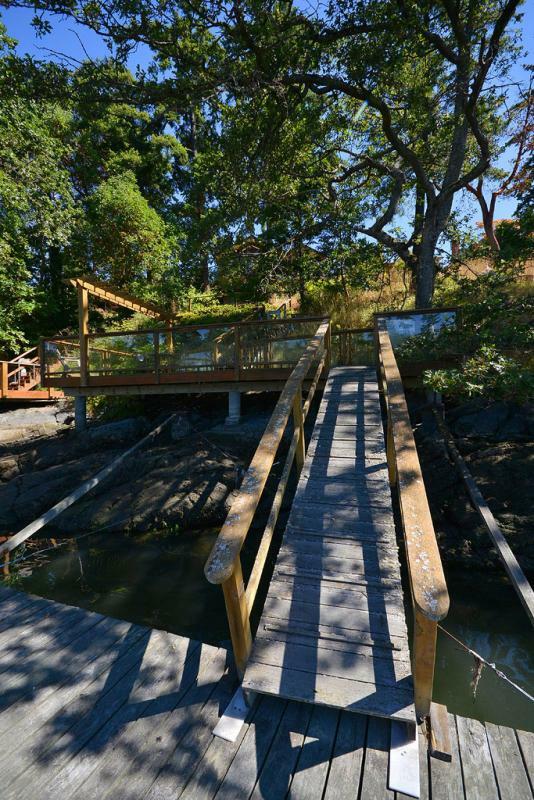 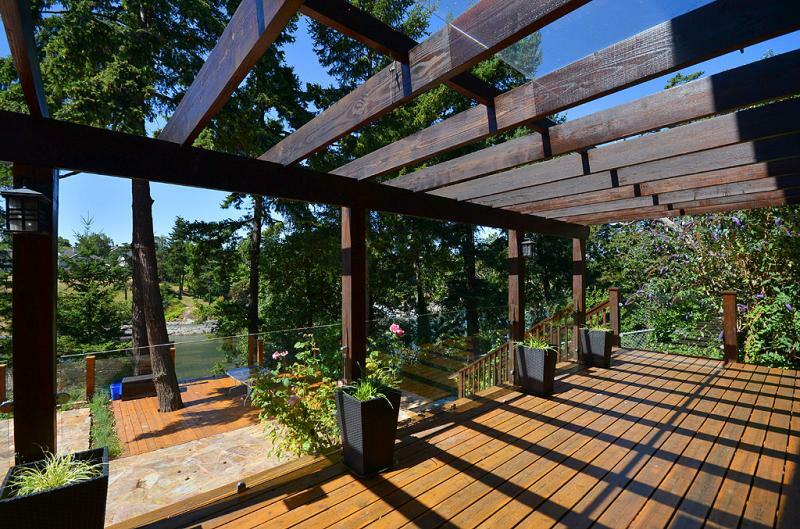 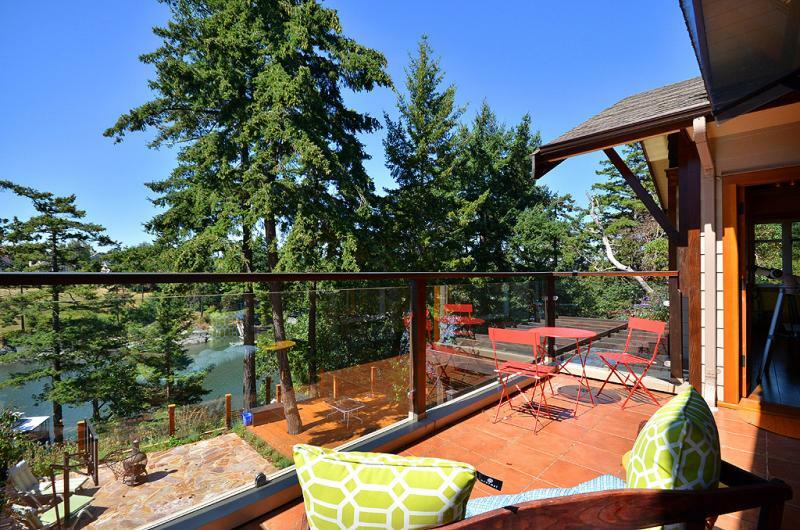 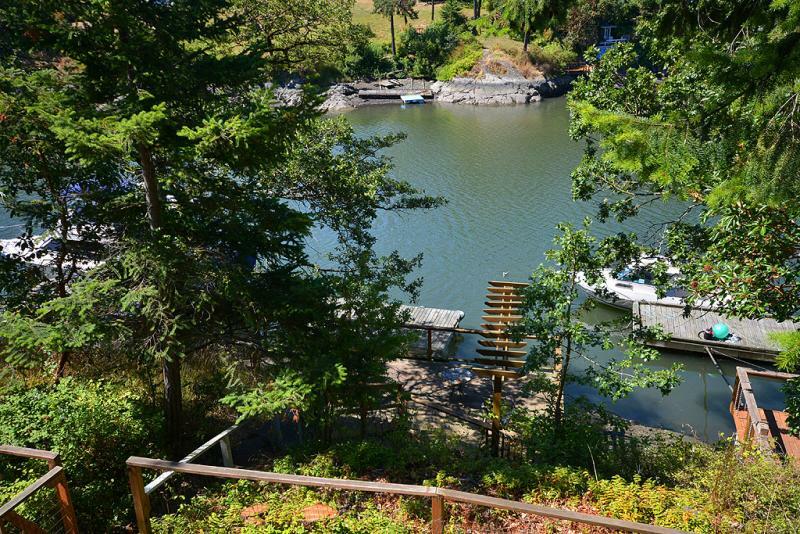 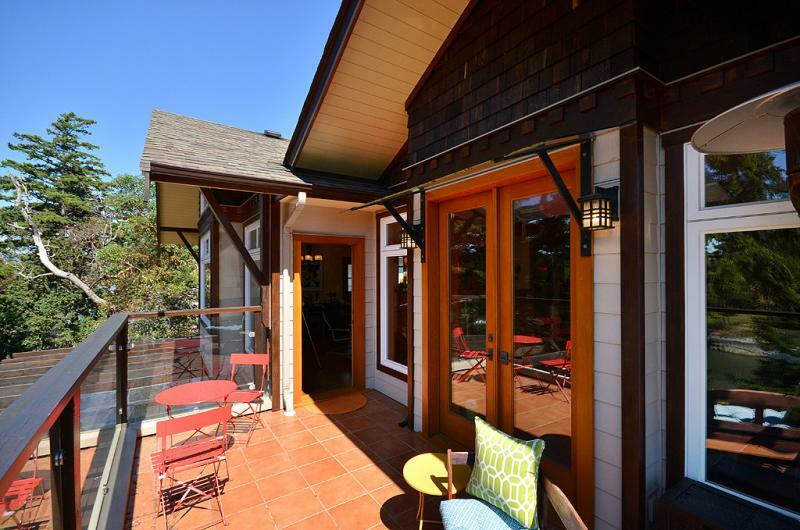 Situated on the Gorge Waterway in beautiful Victoria, BC, Lotus Waterfront Retreat awaits your arrival. 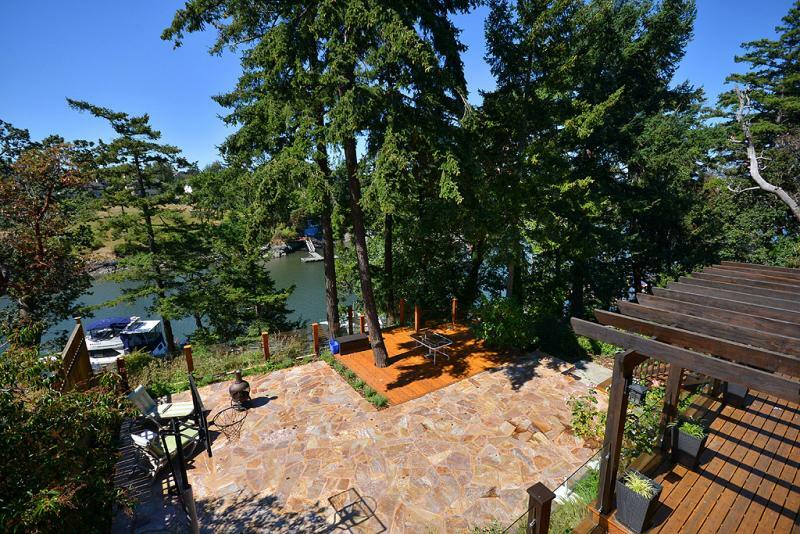 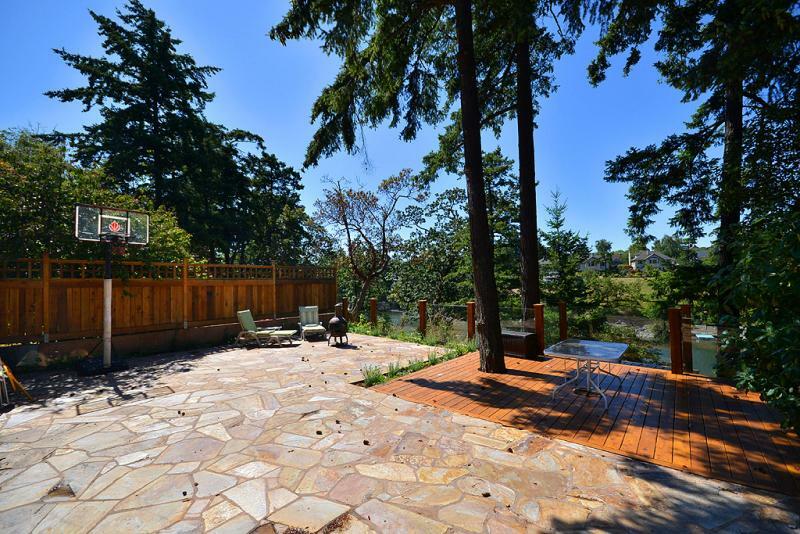 Only minutes to down town Victoria, this luxurious 5 bedroom waterfront home has everything you need for a relaxing stay. 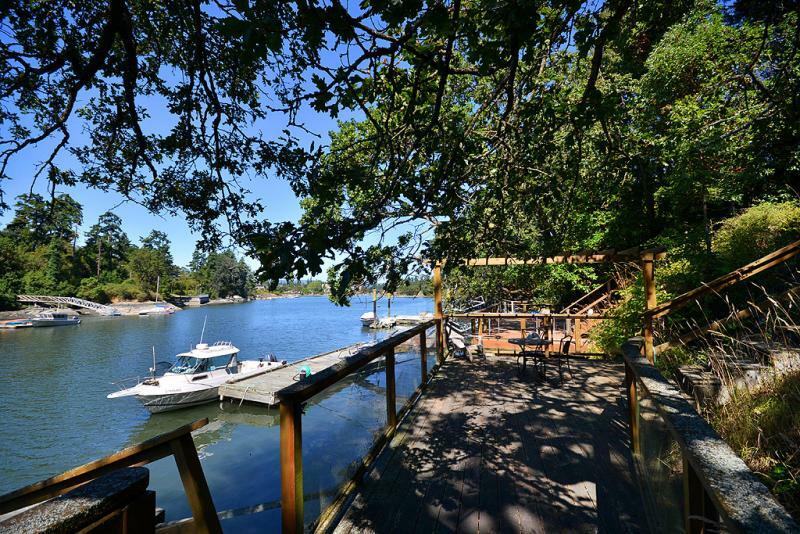 Enjoy views from any one of the 4 sun drenched decks, or choose the private dock located right on the water. 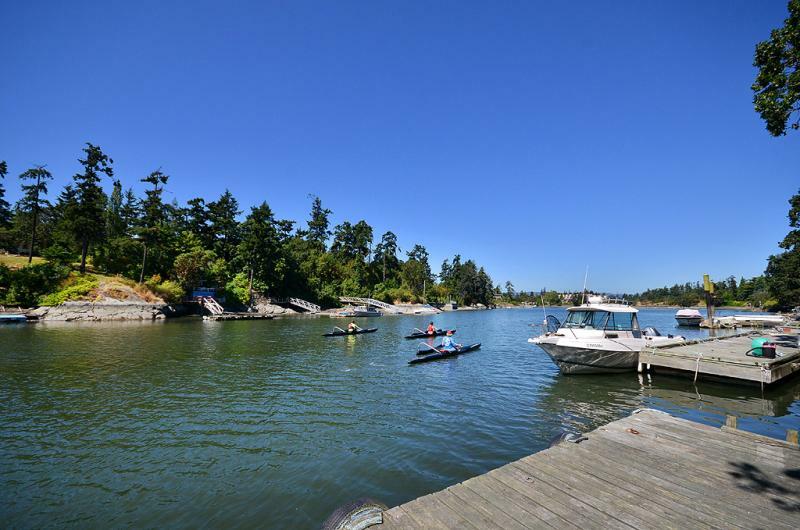 Launch your kayak or go for a swim! 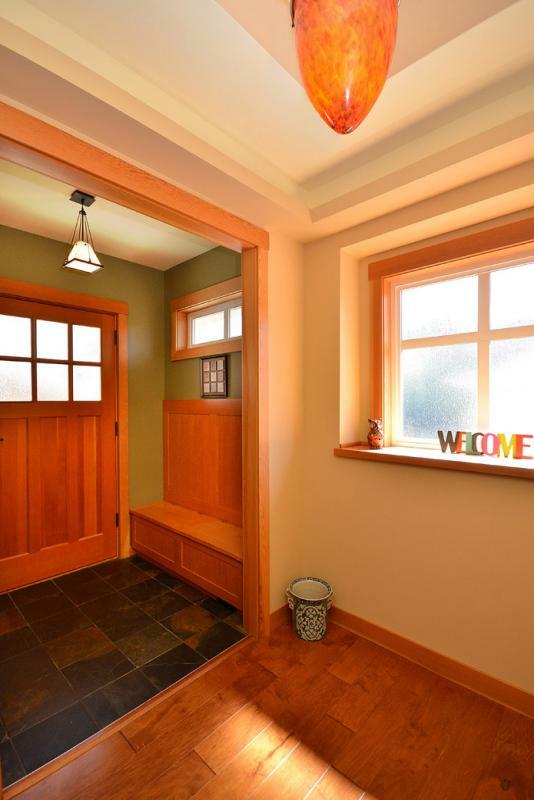 Upon entering the home, you are welcomed by the warm hard wood flooring, the fabulous vaulted ceilings and the abundance of natural light through the many large windows. 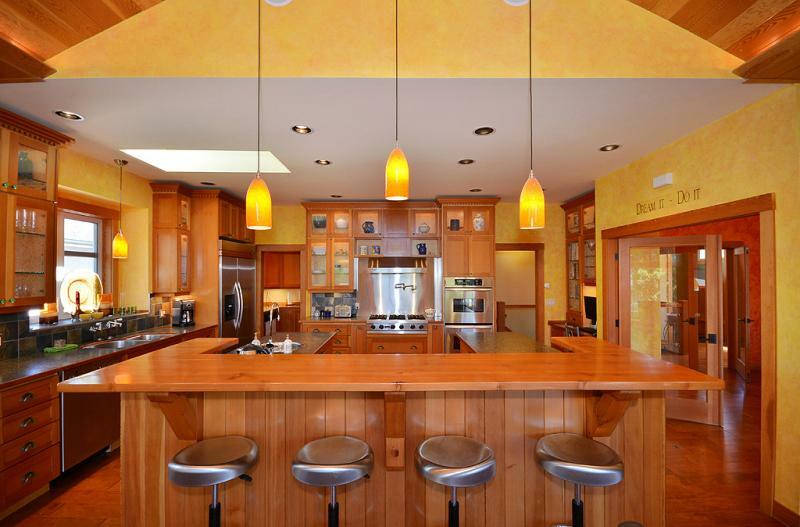 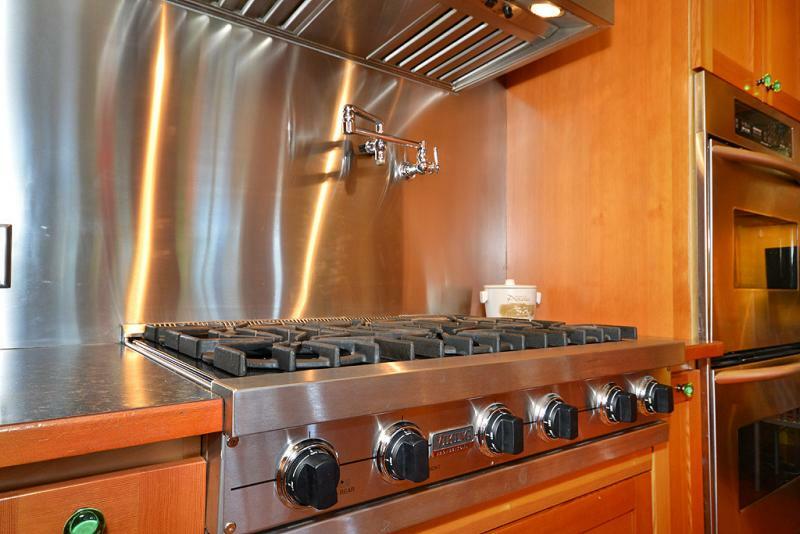 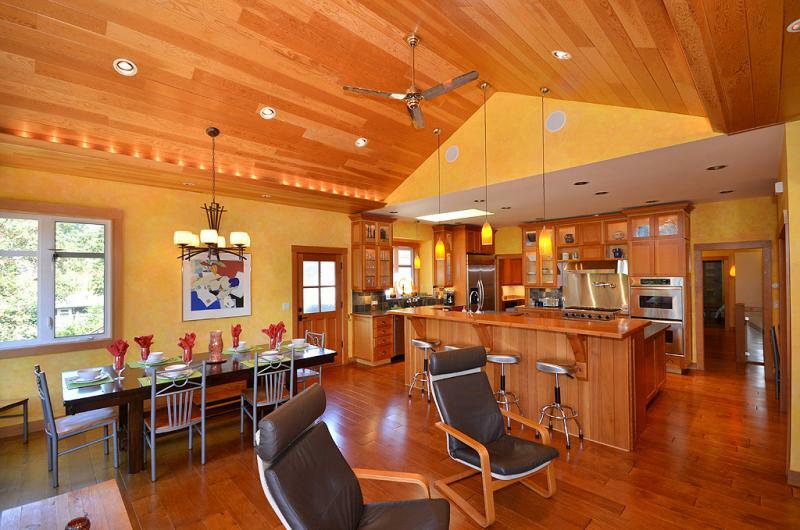 The main level features a gourmet kitchen with 6 burner gas stove, two ovens and a convenient open layout. 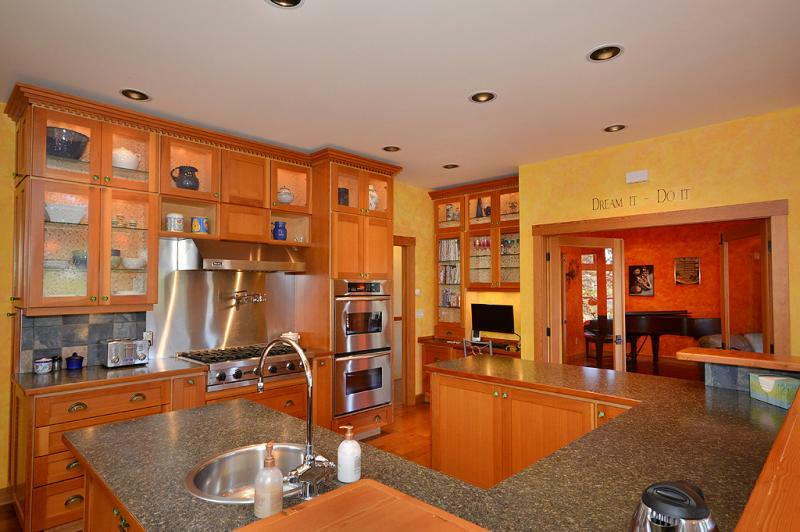 For the chef in the family, there is a convenient butlers pantry with a second dishwasher, refrigerator, counter space and storage. 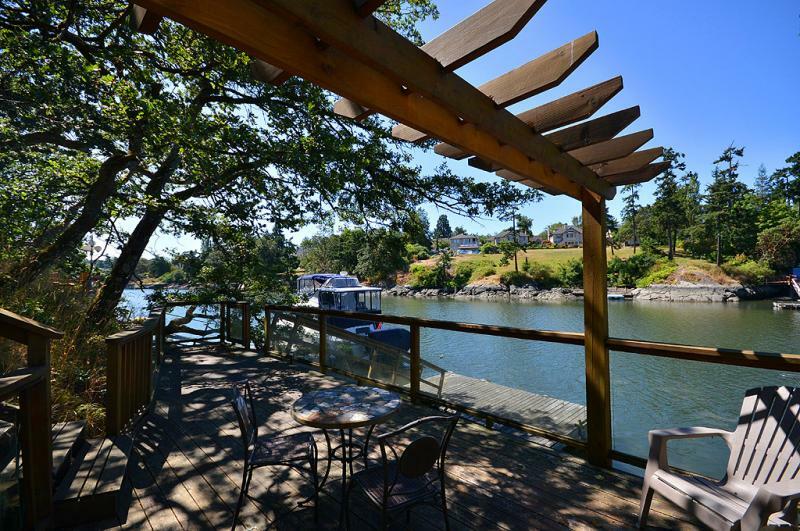 The dining room opens up to a patio overlooking the waterway. 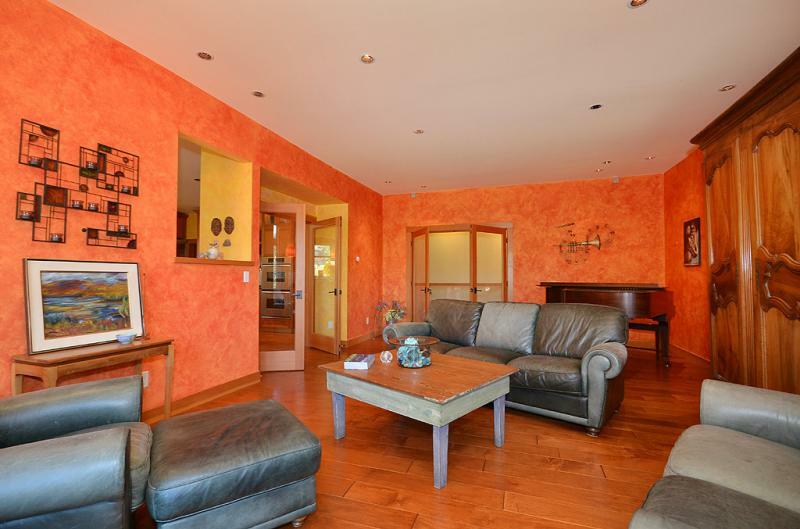 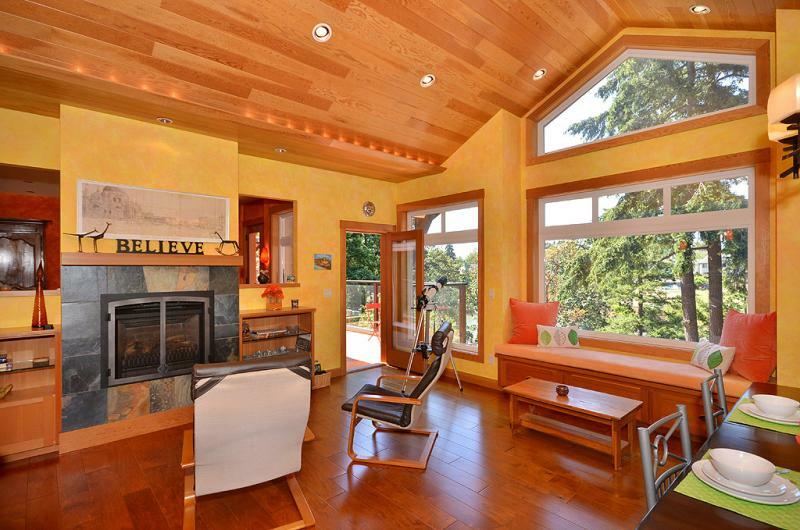 The formal living room also opens up to a patio viewing the water and also features a baby grand piano. 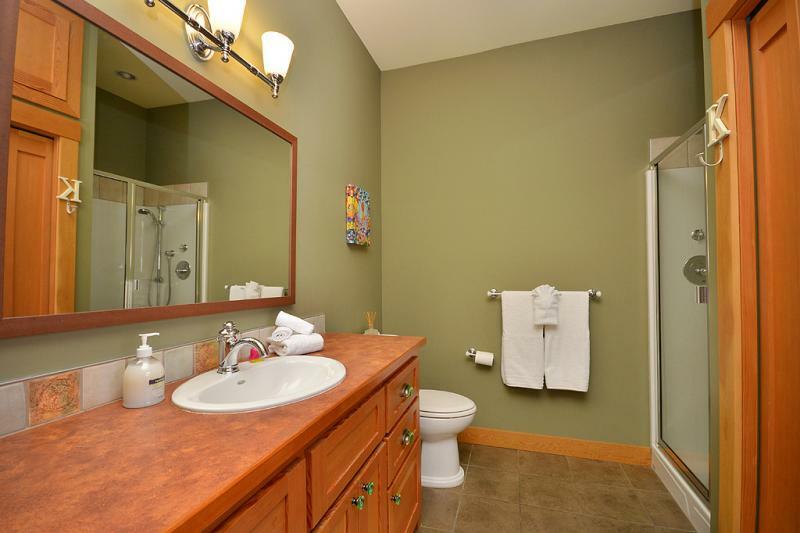 Down the hall, you will find a washer and dryer. 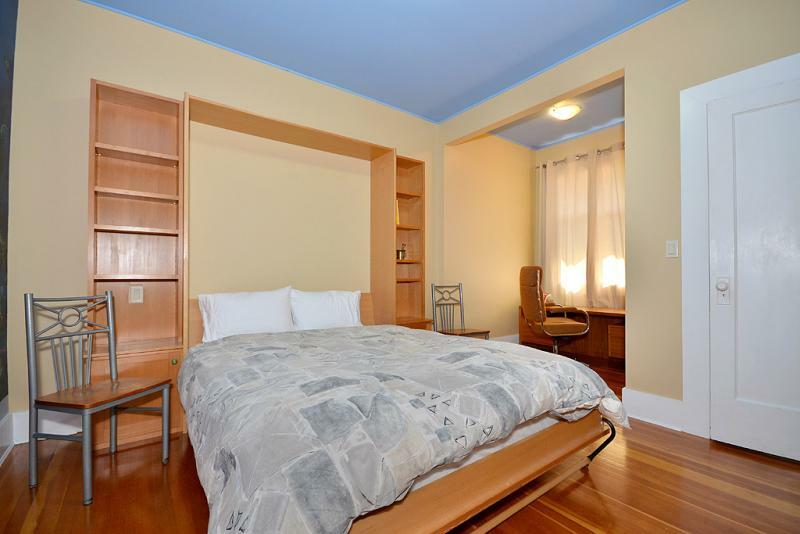 The main level also boasts 3 bedrooms, one bedroom with a queen size bed, the second with a queen size Murphy bed, office area and walk in closet and the third bedroom with two twin size beds. 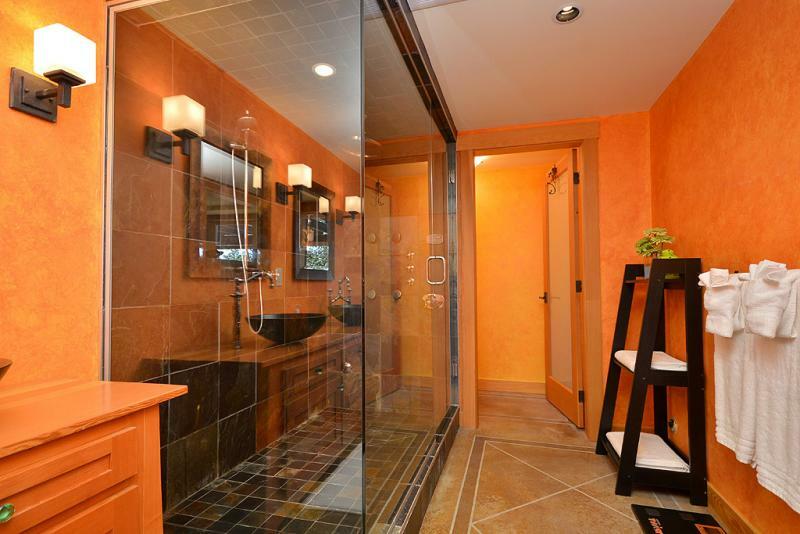 There is also a two piece powder room and a large main bathroom with separate shower and soaker tub. 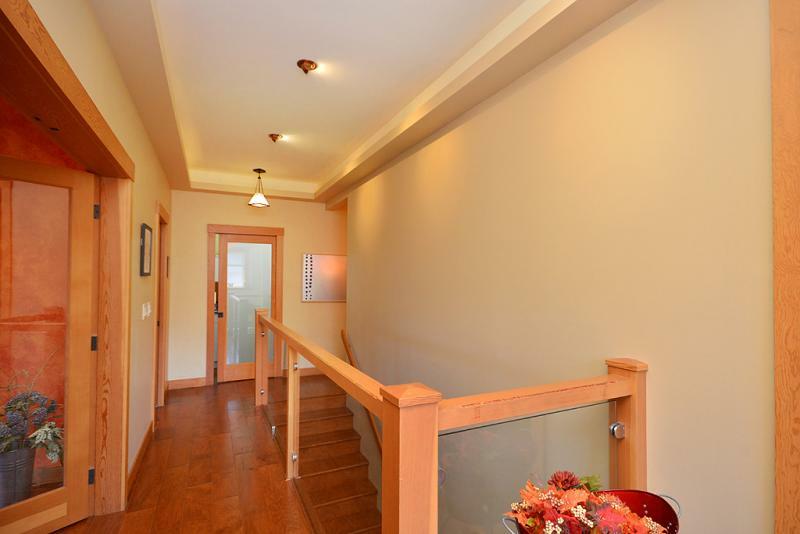 Down the stairs to the lower walkout level of the home, you will find the theatre room featuring an 80 inch television as well as ample seating for the whole family. 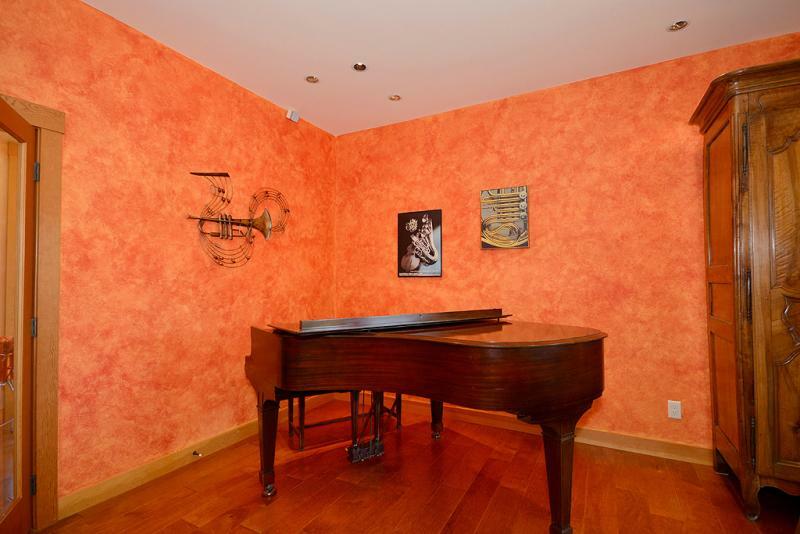 The home is wired for entertainment pleasure so you can enjoy music from anywhere in the house. 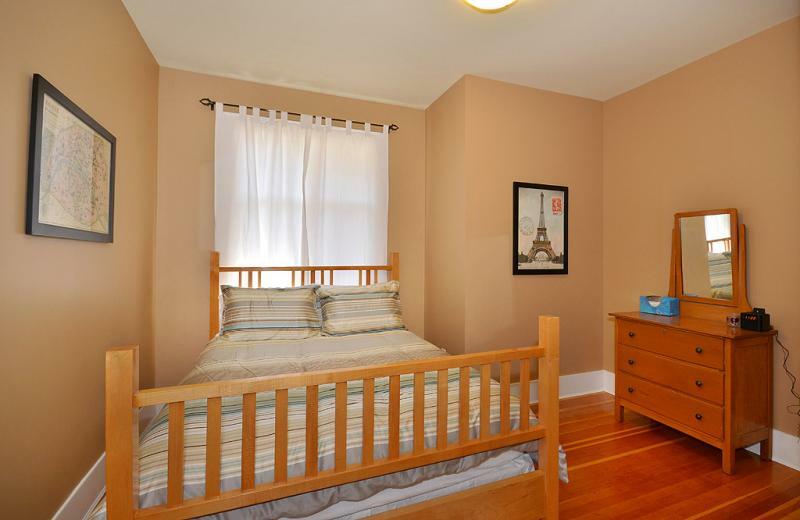 A cozy twin room off the media room is perfect for those wanting to be close to the master bedroom. 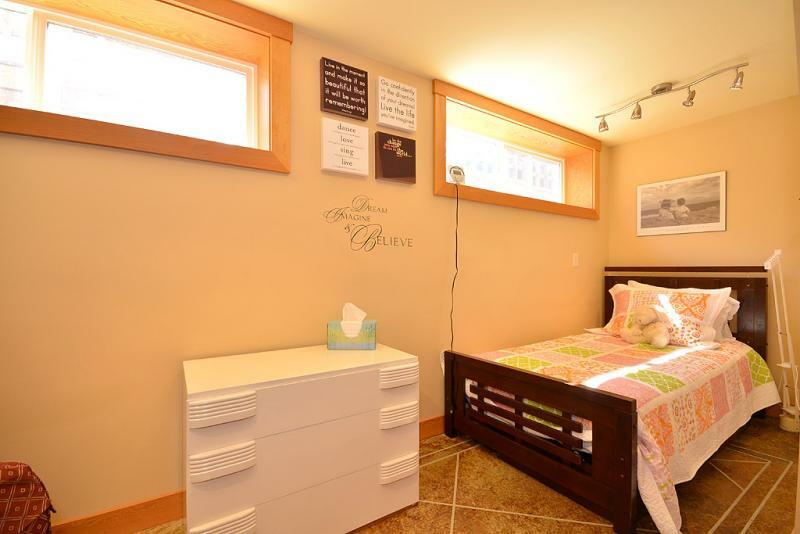 On the other side of the lower level you will find an executive master suite complete with a king size bed, fireplace, work out equipment, his and hers walk in closets and a dream ensuite bathroom. 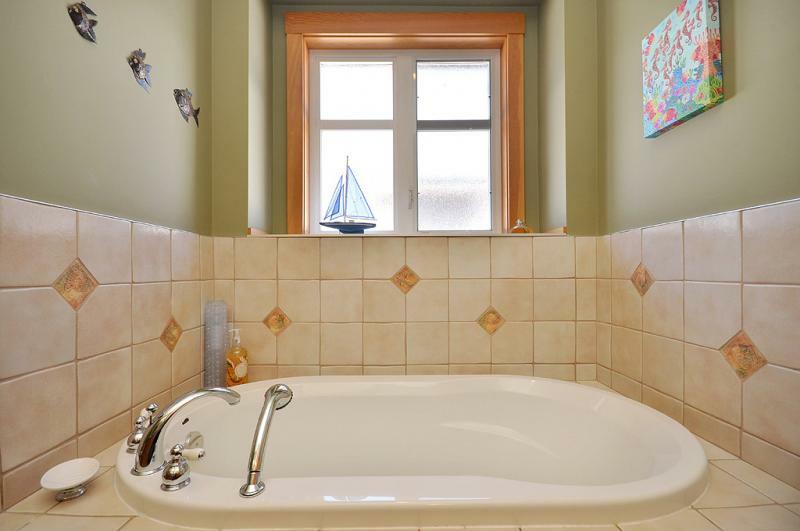 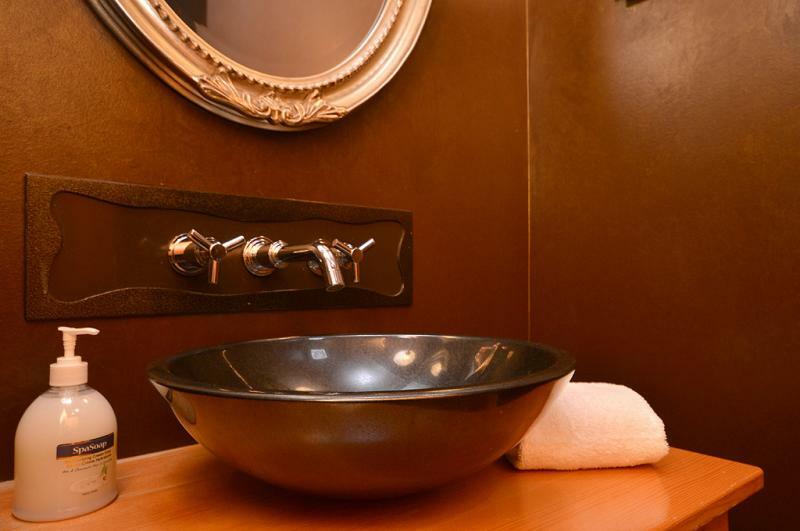 The bathroom consisting of double granite sinks, a walk in steam shower with multiple shower heads and to top it all off, a large soaker tub for two with views of the water. 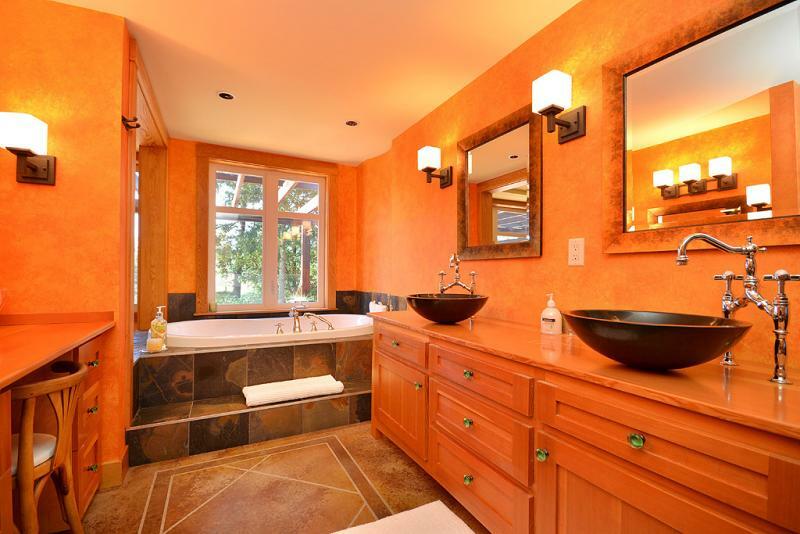 This bathroom is relaxation at it's best! 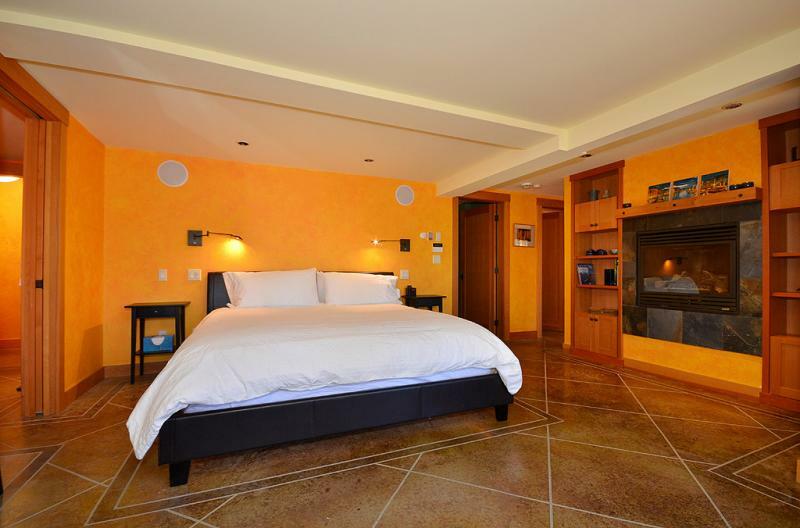 An office off the master bedroom allows you to stay in touch while away from home. 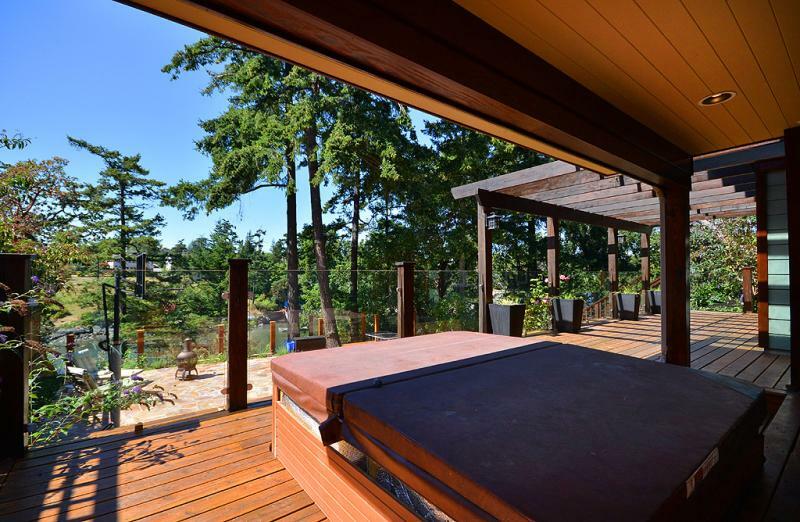 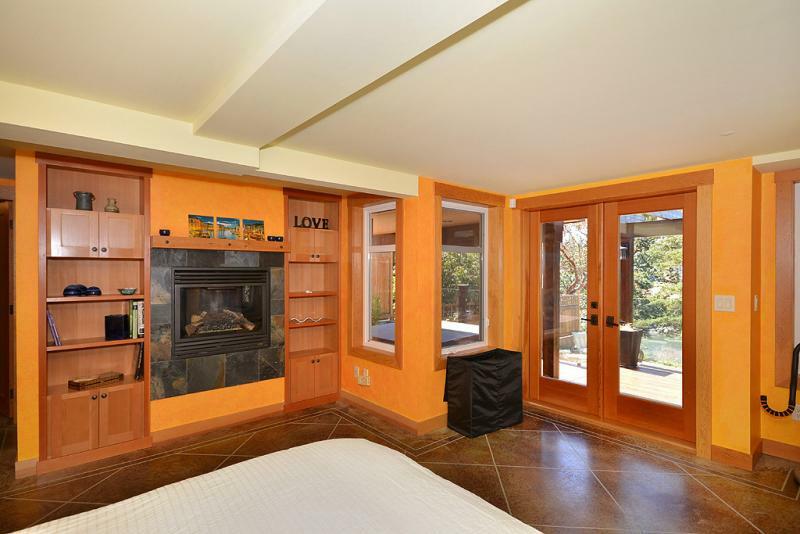 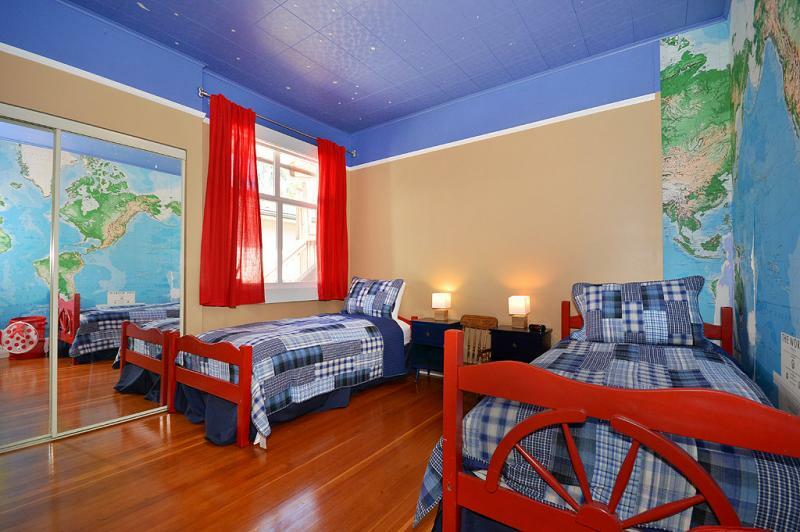 The master bedroom also has access to a patio offering a large hot tub again, with views of the water. 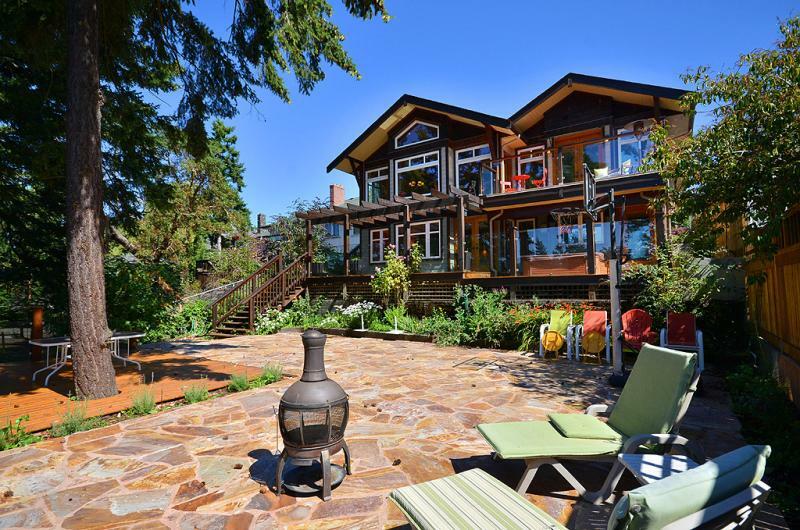 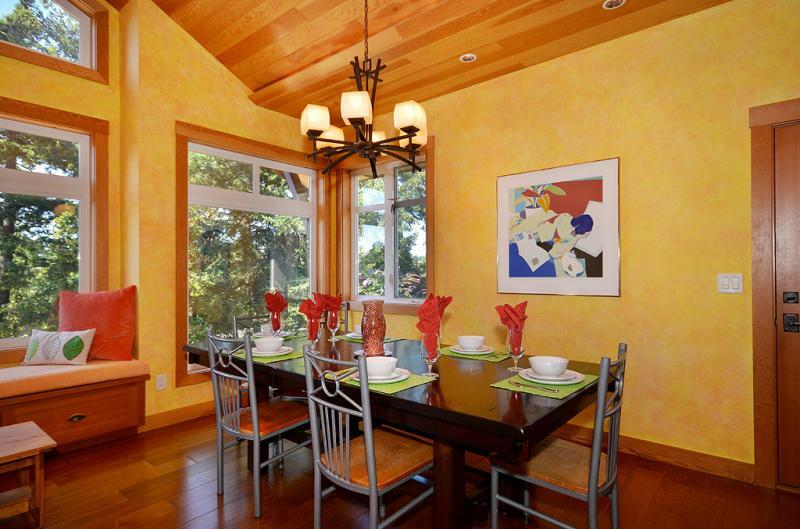 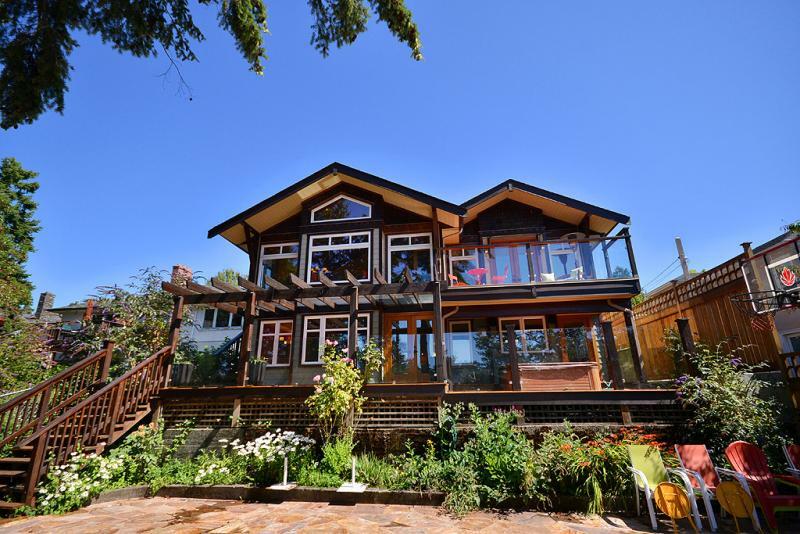 Whether you are in Victoria on business or for pleasure, Lotus Waterfront Retreat is the ultimate vacation rental. 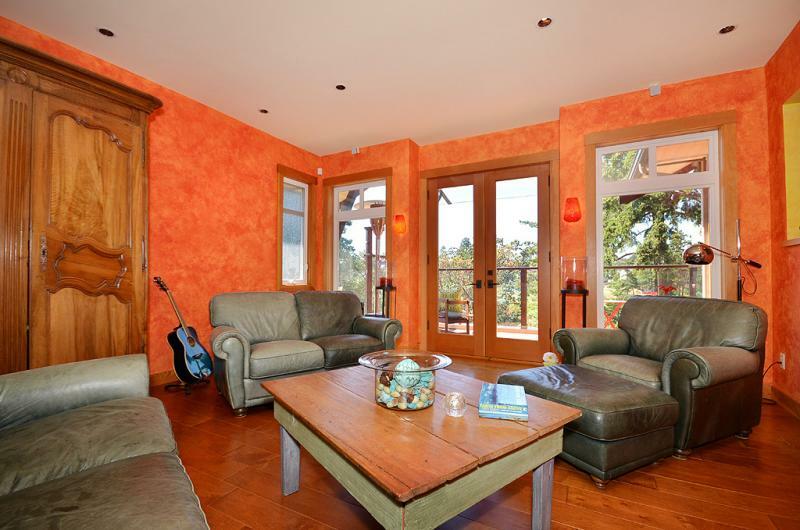 Providing west coast class for your west coast vacation!